Are you ready for fall? I definitely am. Fall is beautiful. 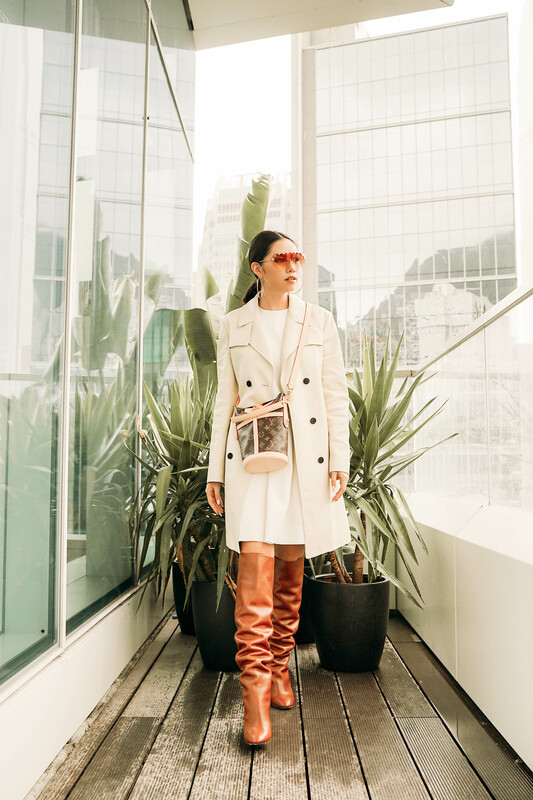 It has orange hues everywhere we lie eyes on and the weather is perfect to layer just enough to be super chic without getting bulky. For this season, I’m totally in love with this trench coat from Louis Vuitton. Everything is on point — from the classic color to the dapper style. It is timeless and classy, and the type of fashion investment items you should have in your wardrobe. To complete the look, I paired it up with a thigh-high boots and edgy sunnies for the statement item.